Did too many batsmen spoil Bangladesh's plan? Did too many batsmen spoil Bangladesh’s plan? Khulna, Bangladesh (BBN)-Nothing suggested a batting collapse between the dismissals of Soumya Sarkar and Mushfiqur Rahim. Those seven deliveries were as routine as any had been in Bangladesh’s first innings till that stage. Apart from Asad Shafiq’s two brilliant catches of Shakib Al Hasan at leg slip and Sarkar at wide mid-off running from cover, Pakistan, too, had merely been disciplined, reports espncrcinfo. Mushfiqur’s dismissal, though, was against the run of play. He had been batting comfortably for more than an hour and now with No. 8 Shuvagata Hom, the circumstances got a little tighter but who else would Bangladesh want in a tight spot these days? Collapses, however, don’t come with warnings. Bangladesh lost their last five wickets in 8.4 overs, adding just 27 runs. The debutant skied an attempted drive over mid-off, the captain couldn’t hold himself back from playing a needless cut, and the tail simply threw their wickets away. The first two wickets were the crux of the collapse, but the gist of it was inevitable. On day one, Bangladesh’s innings resembled batsmen trying to run down an upwards escalator. On day two, it resembled batsmen trying to run up a downward escalator. The players had come off a great time in the ODI series and the one-off T20, scoring hundreds and fifties freely. The run-rate was never a problem even though they used to previously struggle chasing 250-plus totals. But Bangladesh slowed down on the first day in Khulna because they felt the wicket wasn’t conducive to scoring freely, and on the second day, they tried to increase their scoring pace when conservation should have been attempted. 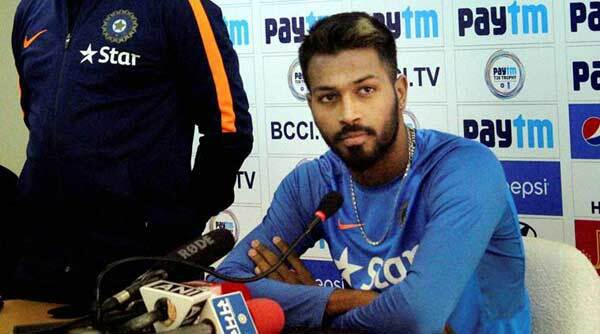 Sarkar, who added 62 for the fifth wicket with Mushfiqur and had moved to 33 off 55 balls in his debut innings, admitted he played the wrong shot to get out, but he didn’t think his dismissal caused the collapse. It is hard to find fault in Sarkar beyond his attempted shot that fell to Shafiq’s hand in the 112th over. Before his debut, Bangladesh had lost their last five wickets in less than nine overs on 20 previous occasions. The last of those was against New Zealand in 2013. From an acute angle, a connection can be made between the collapse and the fact that Bangladesh included eight batsman in their line-up. Two batsmen got past 50 while Mahmudullah made 49. Two got out in the thirties, two in the twenties and Shuvagata Hom, the No 8 batsman, faced only 11 balls to be unbeaten on 12. Not converting a fifty into a hundred is a broader problem, but a sense of comfort at having a long batting line-up can put batsmen at ease. Getting out after settling down has been common whenever Bangladesh have played with eight batsmen before. Sarkar agreed that there was a sense of comfort in the knowledge that the extra batsman was waiting in the dressing room, but he said he was also confident batting with the tail. Soumya’s confidence is not misplaced. The challenge for the No. 7 or No. 8 batsman usually includes negotiating the second new ball, farming the strike with tail-enders, and ensuring a higher run-rate in the first innings. But a look at Mahmudullah’s career as a No 8 batsman suggests it is not just a waste of a batsman, but an unnecessary luxury for the seven players above him. 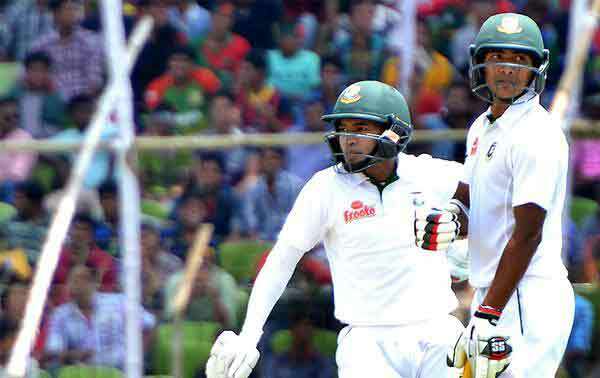 On the second day of the Khulna Test, it resulted in a collapse that could haunt Bangladesh in this game.